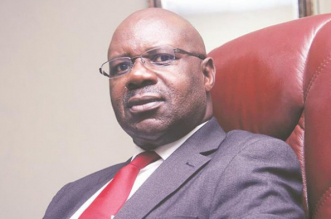 PROSECUTOR-GENERAL, advocate Ray Goba has petitioned the Supreme Court challenging the recent acquittal of five Zimbabwe National Roads Administration (Zinara) executives, who were facing criminal abuse of office charges. The executives were being charged with illegally sourcing foreign currency from the informal market to service Zinara’s $206 million loan from the Development Bank of Southern Africa (DBSA). The five — Precious Murove (director administration and human resources), Simon Taranhike (finance director), Shadreck Matengabadza (finance manager), Stephen Matute (accountant) and Givemore Tendai Kufa (regional engineer) — were in April this year, absolved of any wrongdoing by High Court judge Justice Amy Tsanga. According to the evidence presented in court by prosecutor Chris Mutangadura, the five men fraudulently engaged third party companies to source foreign currency on the informal market on behalf of Zinara with a view to raising $2,8 million as part payment of the loan. The loan, according to the State, had been sourced by Zinara for the construction and rehabilitation of the 823km highway from Plumtree to Mutare, through Zinara’s special purpose vehicle, Infralink (Pvt) Ltd, jointly owned by Zinara and Group Five (Pvt) Ltd with a shareholding of 75% and 25% respectively. But, Justice Tsanga ruled that their actions, although illegal, was somehow justified given that foreign currency shortage was beyond their control, as finding money on the informal market was “necessary evil” which was in the public interest. Goba has since approached the Supreme Court, seeking leave to challenge the ruling. The matter was brought before Supreme Court Judge of Appeal Justice Gowora in May this year who postponed the hearing sine die (indefinitely). In his founding affidavit, Mutangadura said Justice Tsanga’s findings were improper. “I submit that the leave to appeal being sought is against part of the High Court judgement. The facts which are common cause are that, the accused persons (Zinara bosses) being public officers’ sourced money from the informal market in order to pay a debt owed by Infralink (Pvt) Ltd to the DBSA,” he said. Mutangadura said during the course of their employment, the five Zinara bosses participated in making local payments to companies that had made payments to DBSA on behalf of Infralink adding, on the same footing, such payments were made at a cost to Infralink and consequently Zinara. “The court aquo correctly found that the accused were working during the course and scope of their employment as public officers despite contestation that they were carrying out functions associated with a private company,” he said. Mutangadura on Goba’s behalf argues that the basis of the acquittal could be challenged on three grounds as noted in the appeal and are interwoven such that the correct interpretation of the Zinara bosses’ conduct that it renders the five men’s conduct criminal. “It is submitted that the accused would have been entitled to an acquittal if they had used their own company funds to purchase United States Dollars from the informal market, albeit illegally had they been faced with a danger of imminent collapse of their own company,” Mutangadura noted. He added the defence of necessity does not arise in the circumstances because the five executives had broken with policy and arrogated to themselves the functions of the board.